Nomada facilis, has been given the common name hawk's-beard nomad bee by Museum entomologist David Notton. The above is a female of the species from the Museum's collection. Museum entomologist David Notton spotted an unknown single male Nomada facilis bee in his London garden last year, but has since uncovered examples in the Museum's collection dating back to at least 1802. He identified the insect as the species Nomada facilis, which was confirmed with DNA sequencing by fellow Museum scientist Hannah Norman. As the bee was not known to live in Britain but is found elsewhere in Europe, Notton checked the Museum's historic bee collection to see if there were any other specimens. When Notton checked the Museum's bees, he found earlier examples of N. facilis that had indeed been collected in Britain. They had been misidentified as a closely related and similar looking species, Nomada integra. Of these specimens, the earliest N. facilis was collected sometime before 1802, and the last in 1950. Nomada facilis belongs to a group called nomad bees, named after their wandering lifestyle. These bees do not build or provision their own nests, but instead lay their eggs in the nest of mining bee species. The nomad eggs hatch first, then the larvae eat their neighbours' supplies of pollen and nectar. Different nomad bees target different species of mining bee. Although Notton can't be certain, he thinks N. facilis in Britain is likely targeting the hawk's-beard mining bee, Andrena fulvago. This is the first time N. facilis has been collected in Britain since 1950, suggesting it is a very rare species and probably declining. One reason for this is that it relies on the hawk's-beard mining bee, which is also rare. Although N. facilis is a parasite, Notton says people shouldn't be too worried about its effect on its host. He says, 'A parasite will always be rarer than its host species, and the existence of a stable population of parasites is generally evidence that a host is doing well. The best situation is a healthy population of both. Since the bee had no common name previously, Notton has coined the name hawk's-beard nomad bee. It is named after the hawk's-beard wildflowers, which have small, yellow, daisy-like flowers favoured by many solitary bees. 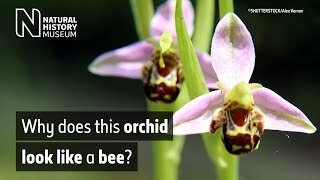 Many new insect species have established themselves in Britain in recent years, helped by the warming climate and imports of plants and other materials in which they live or nest. Notton has recently found two other new bee arrivals living in London.